Britton provides an extensive range of stylish and contemporary accessories. This practical and stylish large corner wire basket provides a perfect solution to storing soaps, shampoos and sponges. Fabricated from high grade brass and finished in polished chrome. 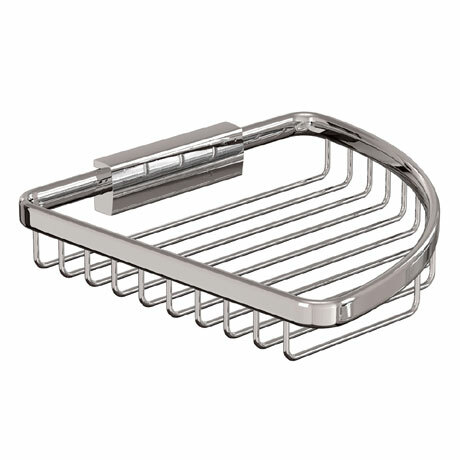 Features a clip-on, clip-off wire basket mounting system which allows for easier cleaning.